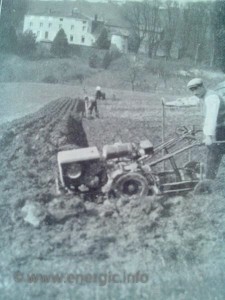 The new Energic range in 1930 enable farmers to overcome difficult terrain, whether steep, narrow or angle. 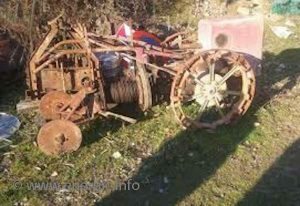 The Energic type A winch enable the farmer to cultivate these difficult and challenging terrains. 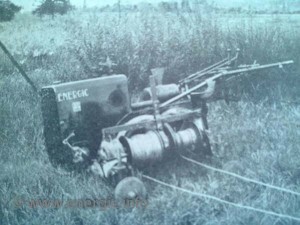 The Energic motoculteur C7, B4L 1931, was also adapted for use with a winch for these difficult conditions. 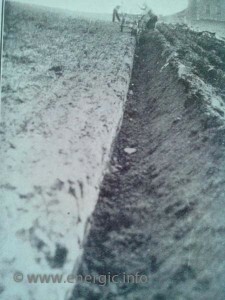 Steep hills and where a initially deep plow cut is require (previously uncultivated land) need the power of the winch. Deep cut with a Energic motoculteur C7 B4L winch at a distance.